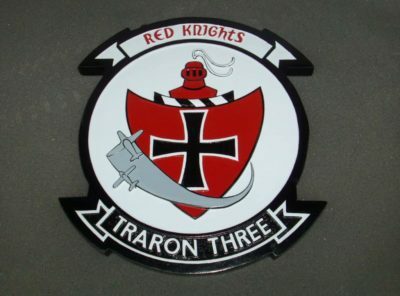 14 inch wooden plaque of the VT-28 Rangers flying the TS-2 Tracker! 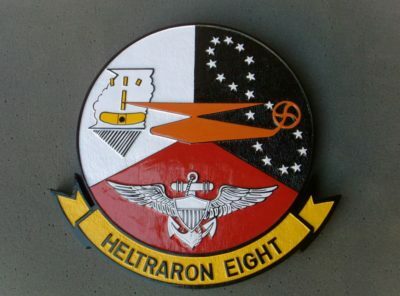 Training Squadron TWO-EIGHT was commissioned on May 1, 1960 under the leadership of Commanding Officer, Commander O. T. Knight. Prior to that, VT-28 operated as Advanced Training Unit 611. The primary mission of VT-28 was advanced multi-engine flight training for Student Naval Aviators (SNA’s). Over 6,000 Naval Aviators have been trained by VT-28 before assignment to fixed wing, multi-engine squadrons. This curriculum has evolved over the years in response to the changing need to the Navy and advances in aviation technology. 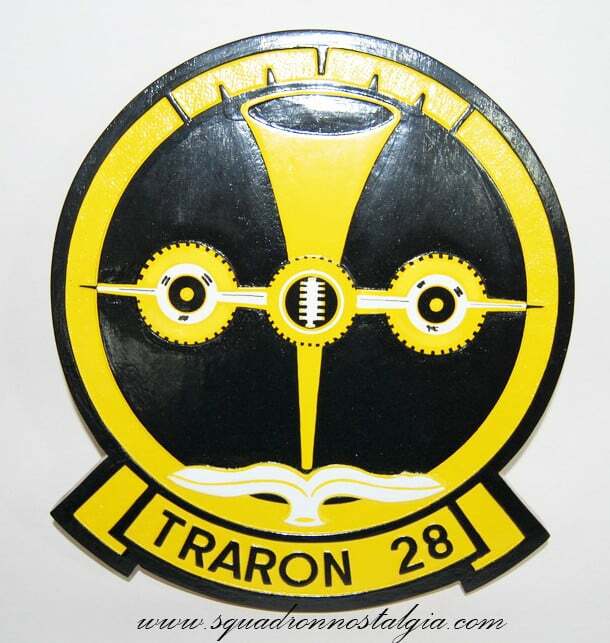 VT-28 quickly established a standard of excellence which has continued unabated for 35 years. 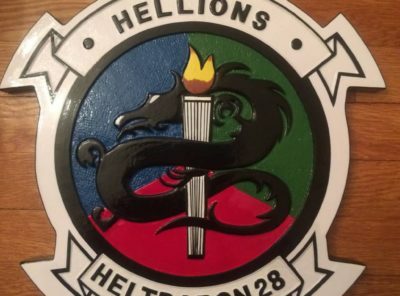 With 44 instructors, 48 TS-2F “Tracker” aircraft, 400 enlisted personnel and an average on board student count of 125, VT-28 set new training, safety, and cost efficiency records in its first ten months of operation. 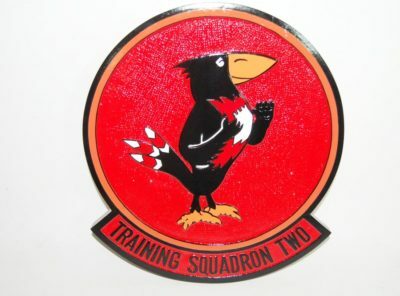 During the 1960’s, as the demand for fixed wing maritime pilots increased, so did the scope and responsibility of Training Squadron TWO-EIGHT. By the mid-sixties, the flight syllabus, augmented by simultaneous ground training, had expanded to include Familiarization, Basic and Radio Instrument Navigation, Cross County, Night Familiarization and Carrier Qualification. 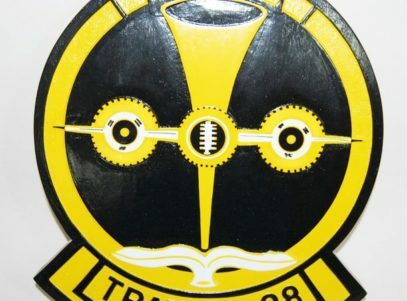 The TS-2F “Tracker” proved itself a most reliable and stable training platform during periods of changes in the syllabus and increased requirements. In 1969 alone, nearly 300 Naval Aviators were designated and 40,000 aircraft hours flown by VT-28. 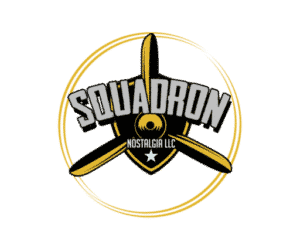 The squadron carrier qualified or “CQ’d” thousands of Student Naval Aviators in the “Tracker” until its retirement in 1979 when it was replaced by the T-44A on March 1st of that year. 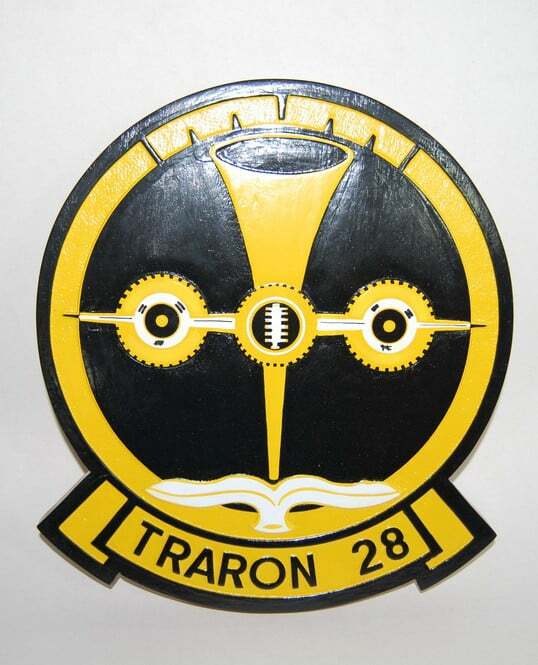 On April 1, 1993, VT-28 changed its mission once again; this time to provide Primary/Intermediate Maritime and Helicopter instruction to Student Naval Aviators while flying the T-34C. 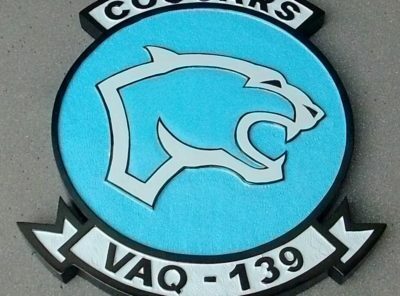 In the first months as CNATRA’s fifth Primary Squadron, VT-28 continued to set the standard for training excellence, flying over 20,230 mishap free flight hours and graduating over 200 primary students and over 100 intermediate students. 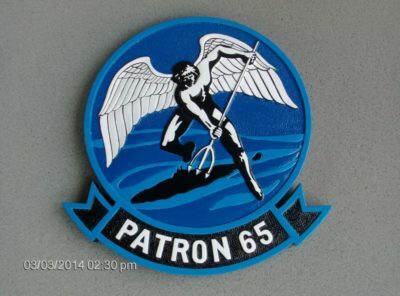 With the mission change, a new squadron patch was designed. The new patch depicts the silhouette of a Texas Ranger mounted on a rearing horse. Flying over the Ranger is an aircraft leaving a patriotic contrail. 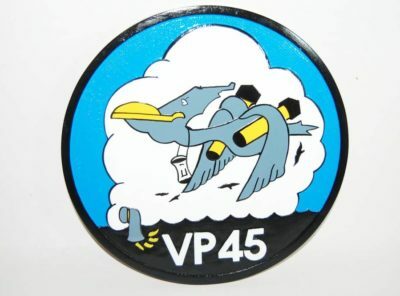 This patch symbolizes the proud tradition of VT-28’s nickname and radio call sign, “Ranger,” as well as the pride the squadron possesses for its new mission and its country.